The Louisiana Board of Ethics, in its capacity as the Supervisory Committee on Campaign Finance Disclosure, at its January 10, 2008 meeting, concluded a private investigation concerning information presented to the Louisiana Board of Ethics. 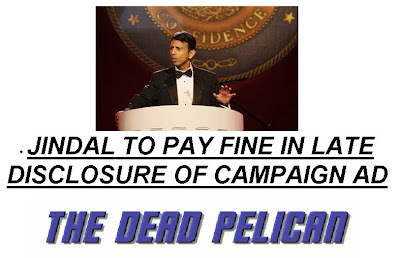 That Bobby Jindal, in his capacity as a candidate for Governor in the October 20, 2007 election, and his campaign committee, the Bobby Jindal Campaign Committee, may have violated Section 1505.1C of the Campaign Finance Disclosure Act (“CFDA”) (La. R.S. 18:1505.1C) by failing to accurately disclose in-kind contributions received from the Republican Party of Louisiana on the ninetieth day prior to the primary election report by July 23, 2007. The hearing will be held at 9 o’clock a.m., July 10, 2008 in the Louisiana Housing Finance Agency Building, 2415 Quail Drive, 1st Floor, Baton Rouge, Louisiana. This public hearing will be conducted in accordance with the procedural requirements set forth in Section 1141E and 1143 of the Code, and in conformity with the Rules adopted by the Board, a copy of which is enclosed. At the conclusion of this public hearing, the Board may impose civil penalties of $100 per day, up to a maximum of $2,500 for each day the report was not timely filed as per R.S. 18:1505.4A. 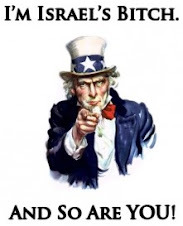 In order to fully cooperate with you in this matter, the designated trial attorney will, upon request, provide you with copies of all documents that may be introduced into evidence and the names and addresses of all witnesses that the designated trial attorney intends to call. If you desire the attendance of any witnesses, the Board, through its Executive Secretary, Deborah Grier, can issue subpoenas for those witnesses. In order to have subpoenas issued you must, at least ten (10) days in advance of the hearing, supply the names and addresses of the persons to be subpoenaed to the attention of the Executive Secretary, and state in detail the document(s) to be produced and the reasons that the production of the documentation will be relevant and material. If you need any additional information, please contact Kathleen Allen or Richard Sherburne, the designated trial attorneys, or Deborah Grier, the Executive Secretary, at (225) 763-8777 or (800) 842-6630.
meanwhile, c.b. forgotston asks "what transparency?"